France has given me so much joy in my life. I want to share this with others. 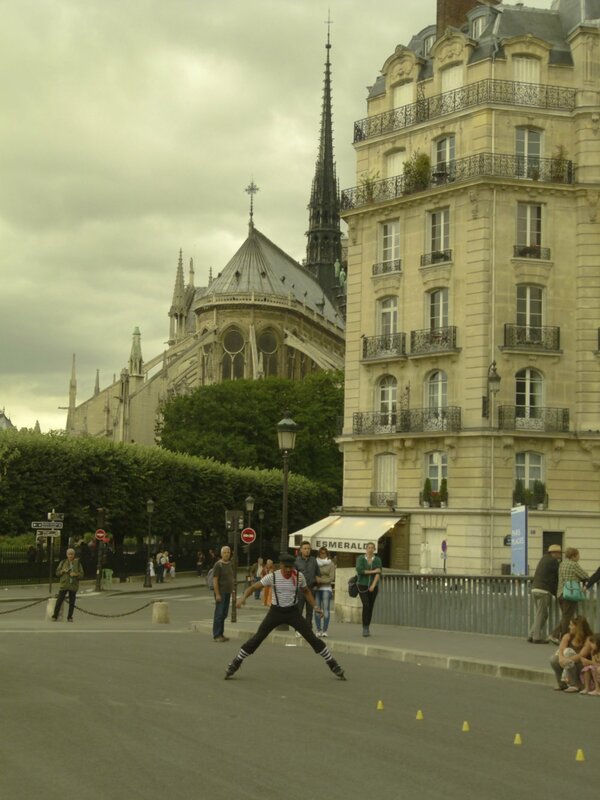 The culture is so rich and it is such fun to play at being french in Paris. I want your time in Paris to be a discovery tour that unearths things that you can treasure for years to come. For you to lead your own way through the city, not following some raised umbrella with a microphone. We will have things so well planned that you will know exactly what bus or metro you need to take, and where to alight and you can be relaxed in your own company not bothered by other distractions. Leaving you energy and time to enjoy your companions and the beautiful city you find yourselves in. All over Paris you will find the most beautiful doorways. Huge, ancient things which dwarf us all. Doorways that spark dreams and evoke plans to escape your lives and live in Paris forever. Between the Ile St Louis and Ile de la Cite you will find scenes like this. A piano on the street, a clarinet and a great voice there somewhere too. This is Paris.